LG has confirmed that its new, high-end televisions will be available for widespread purchase imminently, with the new 55EA9800 curved OLED and the 55LA9700 and 65LA9700 in stores around Australia in just a few weeks. 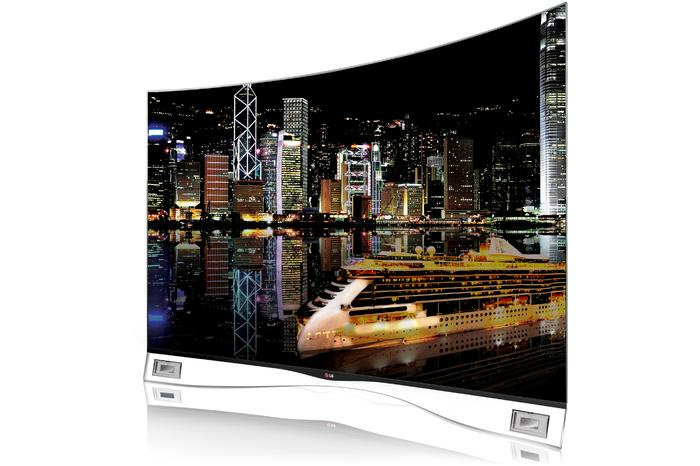 The EA9800 OLED TV is unique in that it uses a fourth sub-pixel in addition to the standard red-green-blue of competing TVs like the Samsung 55S9C. The fourth sub-pixel is white, allowing for higher overall brightness and a wider range of contrast in colours. A big advantage of OLED is the TV’s massively increase response time, essentially eliminating screen blur even on fast-moving objects. It’s this OLED technology and the use of carbon fibre construction that’s also responsible for the TV’s thin 4.3mm profile and minimal 17kg weight, cutting down on the comparative bulk of an LED LCD TV’s backlight and internal circuitry. The EA9800’s front-firing, stereo speakers are integrated into the transparent crystal stand, which supposedly creates the illusion that the TV is floating on air. The LG EA9800 includes the full host of Smart TV technologies, including all the company’s apps for video-on-demand and catch-up TV, as well as Wi-Fi Direct, Miracast and MHL support for playing media off mobile devices. It’ll be available in “select retail stores”, although LG told us that it wants to sell as many as possible, from mid-September at a recommended retail price of $11999. Also going on sale in mid-September are LG’s two down-sized Ultra HD TVs. At 55 and 65 inches in screen size respectively, the 55LA9700 and 65LA9700 have Ultra HD-resolution screens, able to show four times the detail of current Full HD panels. The new TVs carry a slight premium over competing models from Samsung and Sony, but LG has a unique feature in the TV’s integrated sound-bar, which extends and retracts from behind the lower bezel. The sound-bar in both models has 50W of audio output and uses four speakers for simulated surround sound. LG’s new Ultra HD TVs use a full sheet of LEDs for backlighting, being both more consistent and brighter than a comparable edge-LED system like Samsung or Sony’s UHD models. The ‘Nano Full LED’ setup has 100 distinct zones in 55-inch model, and 144 in the 65-inch, each of which is able to dynamically adjust brightness to extend contrast in especially dark or bright areas of the screen. LG also told us that it thinks the 55-inch model especially is a worthwhile trade-up for consumers, only attracting a $1500 premium over the $3499 RRP of leading 55-inch LED-backlit LCD TVs. Ultra HD TVs are more versatile than Full HD, maintaining appropriately high image quality even as viewers sit closer to the screen. 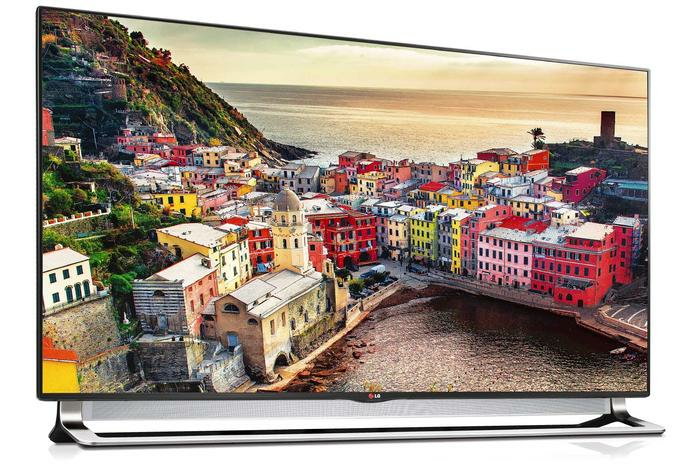 The new Ultra HD TVs are expensive, but not completely out of the reach of interested buyers — the 55-inch LG 55LA9700 is $4999 and the 65-inch 65LA9700 is $7499. Both will be in stores in mid-September, although the 65-inch model will be restricted to stores that have the appropriate floor space to show it off.